Save the date card for wedding. 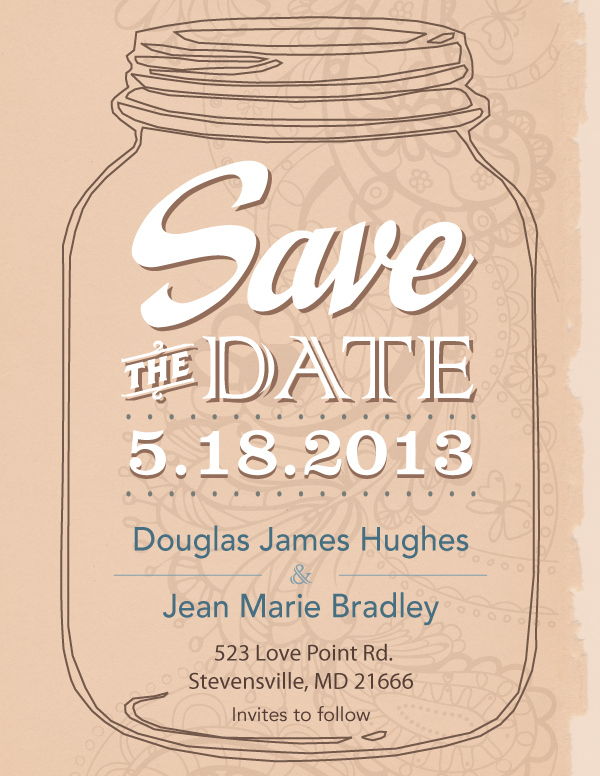 Save the Date card for Jean and Doug's wedding celebration. The couple was having a small casual backyard gathering for family and friends after their destination wedding.